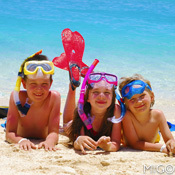 Below are a few things you can do with your kids when having fun visiting Maui. 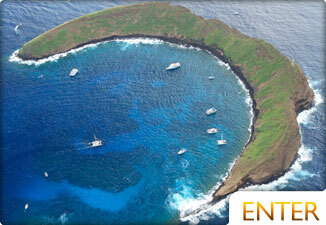 There are plenty of calm areas to snorkel in Maui with your kids. It's a fun activity that most ages can enjoy from the shallows of sandy shore. For older kids, you can take them to some great spots along the reef. 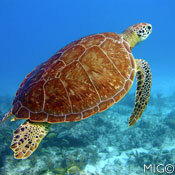 Turtles pop up all over the place, so there's a good chance your keiki will snorkel next to one. Something that will MAKE their vacation! 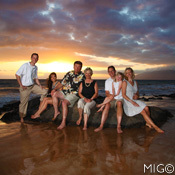 Going to a Maui luau is a no brainer if you've got kids. 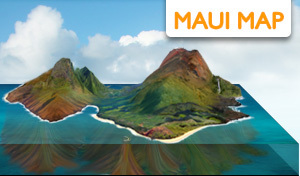 Watch a great sunset, listen to beautiful Hawaiian music, share in the legend and history of the Hawaiian culture, eat delicious tropical food, and watch hula and fire dancing all while sipping a cold cocktail? Sign us up! The kids love all the excitement and often there are traditional Hawaiian crafts being demonstrated and shared, which add to the keiki entrancement. 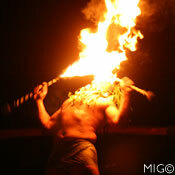 Find the best priced Maui luau tickets. 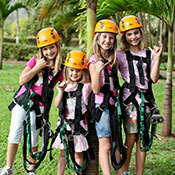 For kids 5 years old and up, ziplining is the perfect activity to keep them excited about Maui! 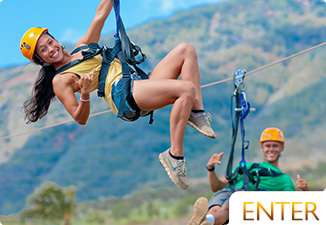 Located at Maui Tropical Plantation in central Maui, Maui Zipline Company offers a 5-line zip tour, including a scenic walk to a tropical observation deck, expert ziplining staff, top notch safety equipment, and great views of the surrounding plantation grounds, tropical gardens and sparkling duck pond. Kids will love the exciting ziplines, and the location is perfect for those staying in popular areas of south, west and central Maui. With more than enough room to jump around, play dodgeball, basketball and dive into foam pits, kids absolutely love Maui’s newest indoor activity center, Ultimate Air Trampoline Park, located conveniently in Wailuku Town. Guests of all ages and sizes are invited to participate, and kids are separated into specific size-based zones to ensure ultimate safety and fun. 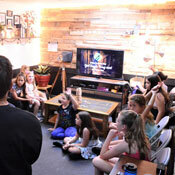 One of the newest entertainment offerings in central Maui, head to Wailuku to experience a Mystery Maui escape room with the whole family. 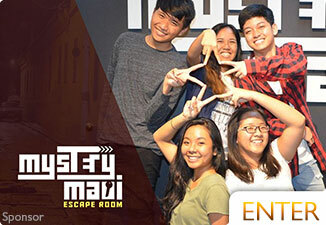 Kids, who must be accompanied by an adult if under the age of 13, love helping to decode clues and solve the mystery, as well as The Ramen Shop and Stella Superstar escape room themes, and it’s the perfect way to spend an hour having a blast with every member of the family. The owners are friendly and passionate about what they do, and it’s a perfect activity for those days when you need a break from the beach or want to escape the wind and rain. 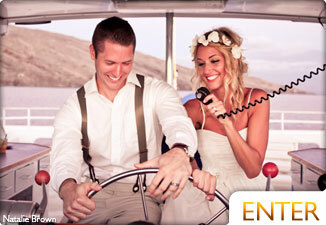 Call (808) 249-2062 to learn more or reserve your mystery room. Though it might not be the first thing your kids want to do, it's something you owe your family. Having great family portraits is important at each stage of your kids growth, but having some taken at a gorgeous beach location at sunset just makes it that much better. 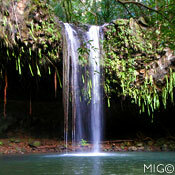 You can also take photos during mid day to get those green ocean colors or take a trip to a waterfall or bamboo forest! Most people would make this #1, but we figure you already know it. Some resorts are built for keiki (kids.) The Grand Wailea has a pretty amazing pool with many slides and even a water elevator. Spending time at one of Maui's best beaches is almost always a good idea, but remember lots of sunblock, shade and drinking water. Avoid peak sun when you can too. We prefer to take our kids to the beach very early in the morning or a few hours before sunset. Morning is best for snorkeling to avoid wind. 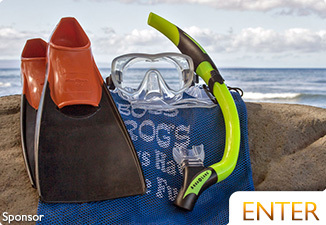 Reserve your snorkel gear ahead of time and save time! 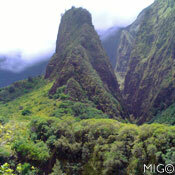 One of our favorite things to do is visit the Maui Tropical Plantation. The kids absolutely love feeding he ducks at the pond, and we quite like having a cocktail at the Mill House while they do it. They also run a plantation tram tour through the day where you and your keiki can learn about the various flora grown on the property. 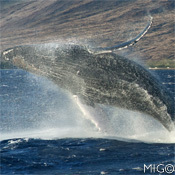 During our winter season, whale watching is one of the most exciting things for children. Seeing a massive humpback launch out of the water next to the boat is impressive for anyone, but the kids get a real kick out of it as well as learn about nature. Each boat has a naturalist onboard that can share fascinating facts about whales while you follow them around. Some vessels put microphones in the water so you can hear them sing! Most children go through at least a short phase of being obsessed with mermaids. They're maystical creations in the ocean with magic powers. Who wouldn't be? Well now your keiki can try on their own tail and have a certified instructor and lifeguard guide them through the wonderful world of merpeople. Not only will they get to live as a mermaid for 2 hours, they'll have photos taken of them while they do it. Now there's a bragging right to bring back to your friends at school! 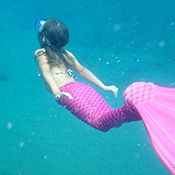 Call (808) 495-8919 or learn more about being a mermaid on Maui. 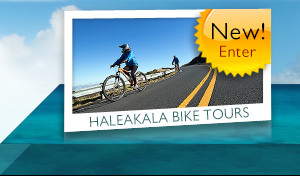 BONUS MAUI ACTIVITIES FOR KIDS! Atlantis submarine is something that most kids get a real kick out of. At first thought, it sounds kind of cheesy and not fun. BUT, this is not Disneyland. Our submarines will take you to well below 100 feet from the surface in complete comfort. 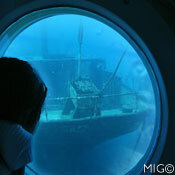 You'll see schools of fish, tropical reef, and even a REAL sunken ship. 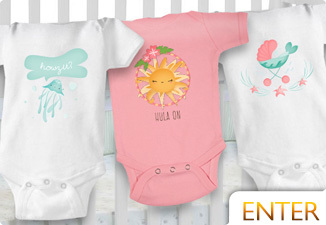 This is something that you won't forget and neither will your little ones. 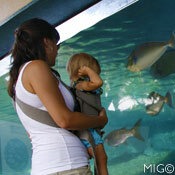 We visit the Maui Ocean Center with our kids almost weekly. It's easy, fun, and gives the kids a real rush. It's a great activity to do when the weather isn't favorable too. We like to go during the feeding time at the shark tank. Scuba Divers will dive in the tank and feed manta rays and sharks while talking to you from their water microphones. It's a lot of fun and educational too! 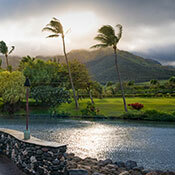 Read our 10 steps to planning your first trip to Maui.